After getting the sour taste of Ramsey out of our collective electronic mouths, we add in the epilog for our foodie-vacation. 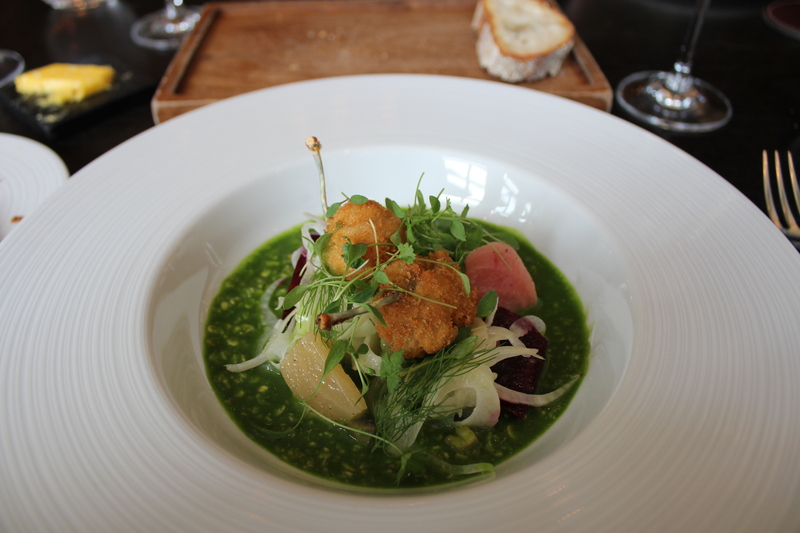 Having dinner at the third ranked restaurant in the world should have been difficult to topple. It was. But not through lack of effort or innovation. Heston Blumenthal is seventh in the world. I know, hard to tell them apart at that level and you are right. 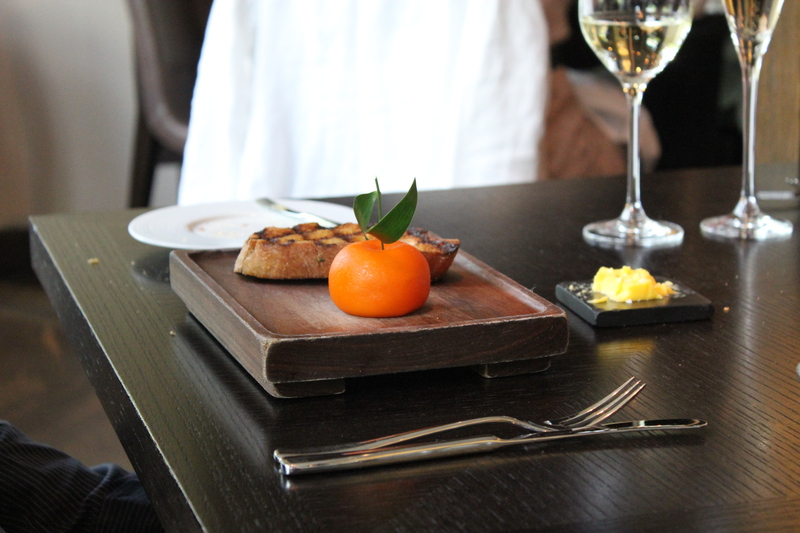 They are head and shoulders above Gordon and their menu’s and service show it. With a lovely and bright ambiance, the restaurant was welcoming and comfortable. The menu was full of dishes that teased both the tongue and imagination. What does grill hay smoked salmon actually taste like? How about Dressed Snails. I didn’t know they even came dressed. 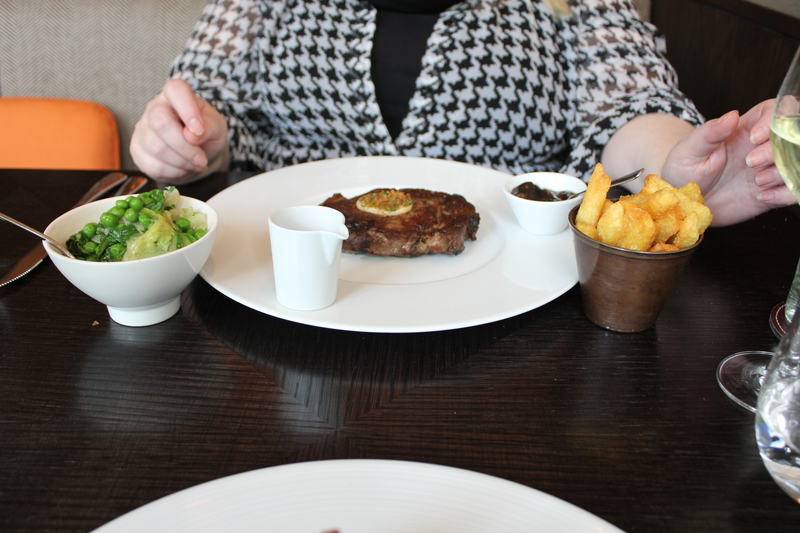 We ordered a range of delights that included duck for me and a rib-eye for Gina. 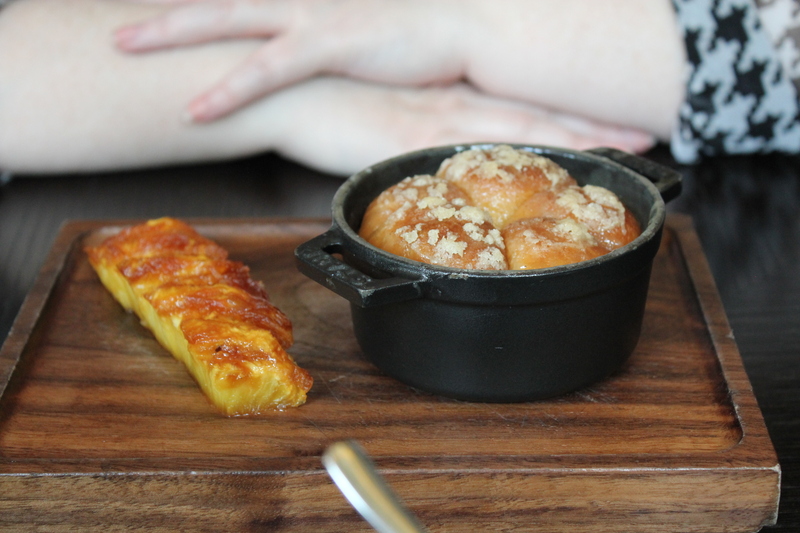 She also ordered a Tipsy Cake which had to be ordered in advance because of how long it took to prepare. We were not disappointed. The food was simply top shelf. Gina’s steak was mouth watering. The star of the show however was her side of frie’s. You might wonder how that’s possible. If we had taste-o-vision you would know. They were perfectly cooked and I suspect they were twice or thrice cooked and at least one of the hot baths was a dance through duck fat. They were hot and perfectly golden crisp. I suddenly have a new fry mission in life! I finished with the traditional cheese platter and was terrified when the waiter delivered what i thought was the desert to our table. Turns out it was just the selection platter. My platter however wasn’t much smaller when it showed up. 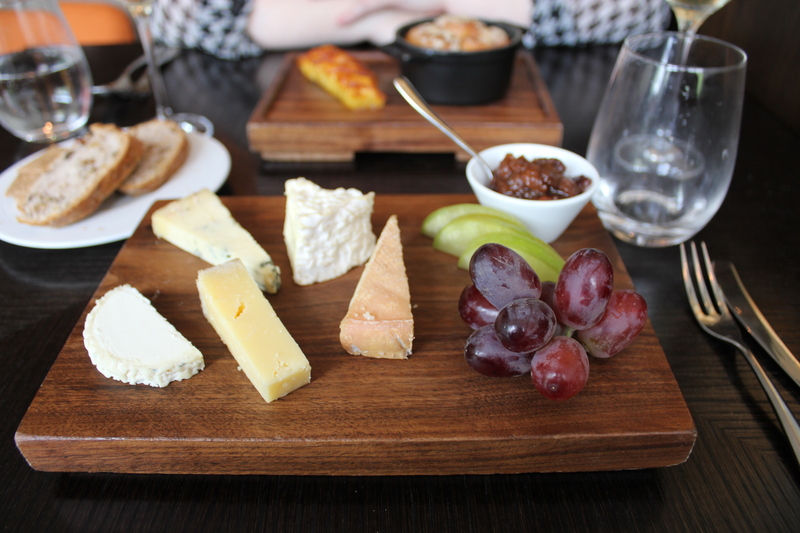 The cheeses were as one might expect, sublime, coming from the land of cheese. Back to Gina’s tipsy cake. It was clear why it took as long as it did. They had to roast a large cone shaped chunk of pineapple until it was carmelized. To die for. I forgot to mention that I added to the number of frogs rolling around in wheel chairs. I ordered the frog’s legs. I’ve had them a few times. These of course were the bee’s knees of frog’s legs, except there weren’t any knees in this case. Now we don’t ordinarily do this but the urge was to irresistible. The couple sitting next to us ordered a signature dish. We saw it on the menu but passed having already eaten our way through a significant amount of foie gras. This one was served as a mandarin orange. Totally off the charts. Who knew there were even eating places like this in the World. Nice, after our famous or not visit to the “Gordon”s place.. Sounds to me like you guys are leaning toward staying in Europe and continuing the tour. Where next? Spain? France?